You can buy anything for anybody these days. That doesn't help us choose. Here are some suggested gifts for architects and builders, new homeowners and old house rehabbers, and anyone with a fascination for buildings and design. Some of the gifts are serious, some are comical or unusual, and check out the gifts you can eat! You'll know you've found the perfect present when you are tempted to buy an extra — for yourself. Give the gift of learning. 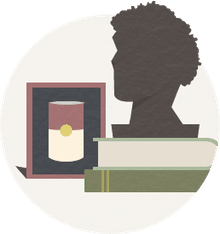 Treat your loved one with a museum pass or guided tours to great buildings around the world. Architectural Advenures is the special travel program of the American Institute of Architects (AIA), so you know their tours are led by professionals. As such, expect to pay the price. All travel does not have to break the bank, however. In fact, travel can be the most romantic gift ever. The 1873 East Brother Light Station in Point Richmond, California has been renovated into a bed-and-breakfast — take a boat to East Brother Island, tour the lighthouse, eat a huge dinner, drink champagne, and settle into one of the five rooms, complete with earplugs just in case the foghorn becomes less than soothing. Some travel you'll never forget. An architect may agree that a seaside or island vacation is the right ticket anytime. An appreciation of nature gets the cobwebs out of the professional head filled with designs. And for the kids or grandkids? The Road Scholar Intergenerational programs will let you give the gift of travel — and you go along, too. There's a word for the LEGO master who has already run through the LEGO Architecture Series Kits. The AFOL is officially an Adult Fan of LEGO, and the passionate AFOL builder has more options than complex kits of iconic buildings. Design your own. Build cities. Go see the LEGO movie. The Pennsylvania-based Apple Cookie & Chocolate Company has the right idea — consumable gifts like chocolate T-squares and protractors packaged in a 7-inch blueprint tube. They'll make a batch of chocolate chip cookies and put them in an empty paint can or tool box. The concept is in the packaging, so everything's a bit pricey. They have "architectural themed" gift, but they also sell chocolate bolts with real nuts (get it? nuts and bolts), chocolate CFL light bulbs and incandescent bulbs filled with cookies and tons of individual chocolate pieces (shaped like windows, drill bits, rebar — you name it) that you can order in bulk. Every item is inventive and fun. "Designed for every industry & every sweet tooth," claims their catalog of goodies. We bet you can't eat just one. These gifts might be what you receive from a business to be thanked as a valued client — Apple Cookie & Chocolate will even customize your order with a company logo on a tool box or electric bag. But the career architect or construction professional might prefer a consumable that is not so closely related to their tools of the trade. Okay, then how about a very nice bottle of wine, domestic or foreign? Very consumable. Or how about a vineyard? The process of creation is somewhat universal, whether making a skyscraper, a sport utility vehicle, or a bottle of wine — choose the elements to put together and assemble them into something elegant, useful, and beautiful. An unusual gift for a professional would be to celebrate this process in an entirely different field. From France and Italy to New Jersey and Oregon, vineyards have been inviting the public to invest in their creations. Sometimes they offer a vine, a row, or a certain grape for adopttion. The rewards vary from vineyard to vineyard, so you'll have to do your own searching for the best deal — just as you would shop around for the best architect or builder. You might be surprised not only at what you find, but also the perfect excuse for that trip to Umbria. The world's great architects didn't just design buildings -- they also created chairs, tables, and sofas. Several companies offer reproduction furnishings by Le Corbusier, Mies van der Rohe, Marcel Breuer, Eileen Gray, and other designers. Architecture you can sit on is always in style. Computer Aided Design or CAD programs for professionals can be overly complicated, but there are plenty of simple computer programs geared for home hobbyists. Download these applications and spend the holidays creating easy floorplans, landscapes, and 3D images — there's probably an app for that. Also, don't forget the 3D printer — as prices come down, these machines will become the new plaything for innovative design experiments. Architecture enthusiasts usually become familiar with the work of American architect Frank Lloyd Wright and what became known as the Prairie School of design. There's no limit to the items made with Wright's designs — shop for ties, cuff links, pens, business card cases, stationery, coasters, paper weights, and mouse pads. More expensive are home furnishings that reproduce Prairie School style lighting, chairs, tables, and even paint colors. Wright designed furniture specifically for the house he was building, so you, too, can purchase the reproduced dining set from the Hollyhock House. An architect may be insulted with this stuff as gifts — after all, architects tend to be competitive with each other — but the Frank Lloyd Wright gift industry is booming, so find the right audience. Many famous and not-so-famous architects have published their own books with their own works and their own philosophies. If you're trying to convince or expose a friend or acquaintance to someone you like or admire, gift-giving is a great opportunity. Princeton Architectural Press has a rich history of specializing in interesting books and notebooks, including the Grids and Guides series of notebooks, notepads, and pencils for visual thinkers. People who love skyscrapers will be awed and inspired by glossy photo books of the world's tallest buildings. Many skyscraper books will focus on one historic trend, such as Classical, Art Deco, Expressionist, Modernist, and Postmodernist buildings. But if skyscrapers are not an interest, try gift books for castle lovers. Surely no work of architecture is more photogenic than a castle. These lavish books are filled with lush photos of castles and castle-like structures from medieval to modern times. If you think pop-up books and coloring books are just for children, check out some of the more sophisticated titles. With detailed artwork and complex "paper engineering" these fascinating activity books are sure to delight any involved reader. For the more serious minded, a seasoned architect may enjoy a book about a town with interesting but unfamiliar buildings. New ideas are always appreciated. Magazine Subscriptions: Frank Lloyd Wright wrote a famous article for the Ladies Home Journal. Gustav Stickley changed the face of American architecture with his little publication called The Craftsman. Magazines have been the siren for design ideas for decades. Does your gift receiver have a special fondness for the glitz and glamour of the rich and famous? Maybe a subscription to Architectural Digest would be welcomed. Is your special person a bungalow lover? Give a subscription to American Bungalow magazine. For every architectural interest there is a publication — and most come in both print and digital formats. Don't forget foreign publications — a gift of Casabella could be given with Italian language lessons. Architecture is a visual art, so it should come as no surprise that entire cities are featured in certain movies — Woody Allen's "Manhattan" and the 1998 "City of Angels" are two examples. The cities and the built environment that make up place sometimes become characters themselves. Other movies, like the Star Wars series, use real places to represent places in other galaxies. Since the dawn of Hollywood, high rises have played leading roles in the movies — from the 1926 Metropolis to the latest Blade Runner movie. If you're not a fan of film fiction, there are plenty of movies about architects and architecture. And some movies, like the seasonal "It's a Wonderful Life" and the animated "The LEGO Movie," are really all about architectural values and a place called home. Unless asked for, never give a professional a tool of their trade — architects can buy their own bumwad or onion skin tracing paper to sketch out a floor plan. 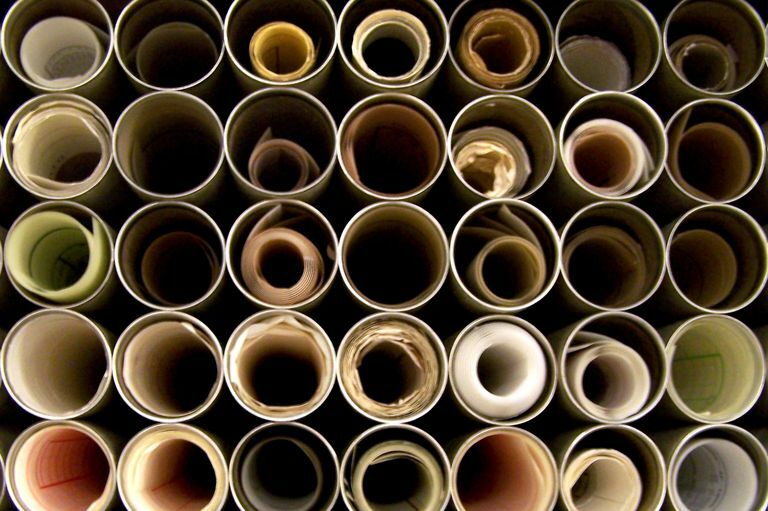 However, how fun would it be to take some of that paper, sketch out your own plans, dreams, and inspirations, and package them in blueprint tubes? The children of underappreciated professionals may like these homespun surprises in a tube. For the homeowner, a treasured space can turn into a work of art. Call your local arts organization to locate an artist who will sketch or paint an original house portrait. Or, hire a photography studio to process a photo of the house onto canvas. The best gift for an architect often has nothing to do with the art and craft of architecture. A gift of extreme sports — whitewater rafting or the seemingly peaceful adventure of fly fishing — might be just the right activity to refocus attention. For anyone, young or old alike, the perfect gift is praise for a job well done, and if it's publicly acknowledged, there is nothing more appreciated. What's the Best American City for Exploring Architecture?